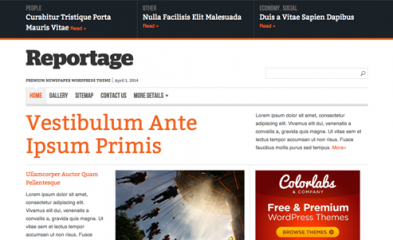 The Reportage is an exciting theme for creating the news website with responsive layouts integrated with lots of useful options and much unique functionality. The style of the theme is the perfect match for writers, publishers, journalist and lots of related professionals. You can represent your website content which is readable on any screen size devices. So download it now form our website.